AQHA NATIONAL CHAMPION, NPHA NATIONAL CHAMPION, VIC STATE CHAMPION, HSC CHAMPION, ROYAL SHOW CHAMPION INTERNATIONAL HIGH POINT HALTER CHAMPION. Kisses is a gorgeous mare, a great mom, leaving size and substance in her babies thus far. 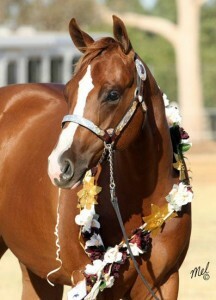 She has a beautiful yearling filly, a gorgeous weanling filly and is bred back to HF SOMETHIN HOT. We believe this is going to be a magic cross and produce great all round horses. 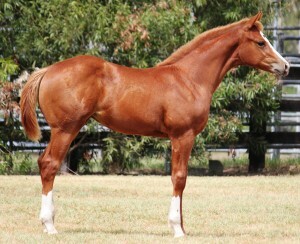 David Pearce has just had a client purchase the First Born HF SOMETHIN HOT filly. CP SOME HOT KISS. we are very excited to see David start this filly. KISS ME ALL OVER. 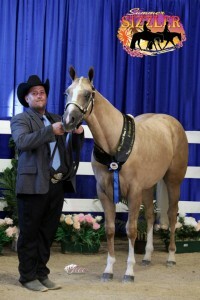 SORREL MARE foaled 2007.
tragically this beautiful palomino filly was lost to colic as a long yearling. He is a MULTIPLE WORLD CHAMPION producer! Equistat leading sire list all his life. they ride western, hunter trail, rope! Fathers and sons. Sires and offspring.Not all son’s follow their fathers’ leads. 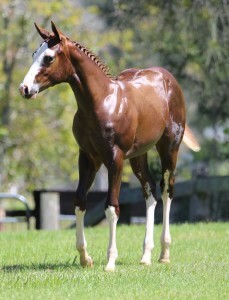 And not all foals follow their sires into particular arenas. Take Coosa, for example. The well-known halter stallion never wore a saddle.But his get have rounded up 1,681 points under saddle. 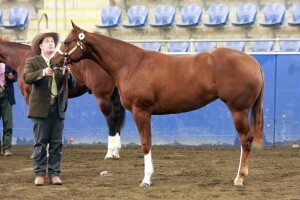 Coosa In 1982, the sorrel stallion went to his first AQHA World Championship Show. 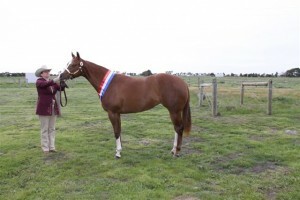 The weanling placed ninth. 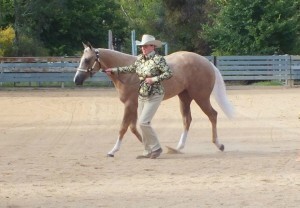 The next year, 1983, Coosa was the reserve world champion yearling stallion. 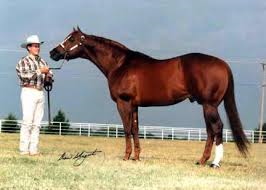 Throughout the 1980s, Coosa traveled through the southern United States, picking up halter championships including a reserve world champion title in aged stallions in 1986. Then he retired to the breeding shed, siring halter winners. That all changed when Wayne and Rebecca Halvorson of Guthrie, Oklahoma, bought him. 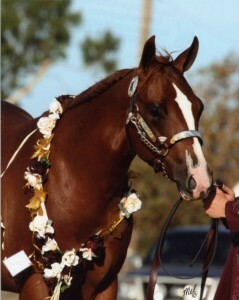 “We got him when he was about 12 years old and already established in the halter industry,” Wayne says. “We decided since his pedigree has so much Leo and performance bloodlines, we wanted to promote him as a horse that could perform.” Coosa is by Pretty Impressive and out of I’m A Rosita by Leo Moore. 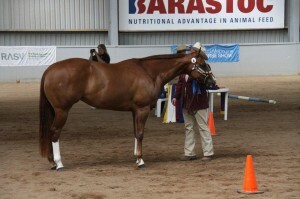 To help promote the idea of Coosa as a performance sire, the Halvorsons offered $1,000 to owners of Coosa horses who turned them into AQHA champions. The gamble paid off. 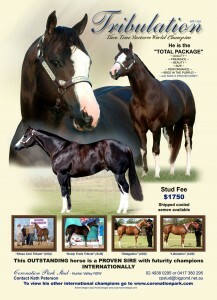 Though the Halvorsons no longer have Coosa, he’s still known as a performance sire. Roger Coday rode the Coosa-sired, gelding Coosa Jule to gather cattle and rope steers. Roger was familiar with Coosa from showing in halter against him, so when Roger’s first-string roping horse, Regers Sheba, got injured, he took a chance on Coosa Jule. 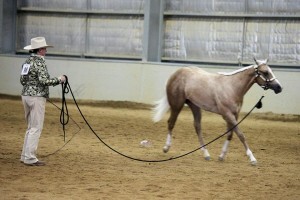 Roger didn’t intend for Coosa Jule to be a roping horse. “I bought him to trail ride and do things like that,” he says. “I used to do a lot of halter. He was 3 years old, maybe 4.